"If you use computers a lot in your job, those jobs are growing," New York Fed President John Williams said in a briefing on the regional economy. Long Island jobs that pay low or high wages are growing faster than those paying middle-income wages, according to new research released Tuesday. Of the nearly 27,100 jobs created in Nassau and Suffolk counties between 2015 and 2017, more than half, or 15,520, had median salaries below $30,000, the Federal Reserve Bank of New York said. More than 9,300 jobs were considered high-wage, with salaries above $60,000. The smallest gain during the period, 2,230 jobs, was in the middle-wage category, which the bank defined as median pay of $30,000 to $60,000 per year. There were about 1.3 million jobs on Long Island in 2015-17. The trend of low-wage and high-wage positions outpacing middle-wage positions did not occur in the nation, where all three employment groups grew by roughly the same amount. "In downstate New York, there has been more growth at the tails,” said Jaison Abel, head of regional economic analysis for the New York Fed. He said robots, computers and foreign competition are replacing middle-income occupations, such as truck drivers, factory workers and administrative personnel. On the Island, the number of office and administrative workers shrank by 7,950 in 2015-17, and school employees fell by 2,720. High-wage jobs include physicians, lawyers, engineers and financial analysts. In this category, the ranks of nurses and other health care professionals grew the most in the two-year period, up 4,960. Low-wage jobs include health aides, food preparers, farmers and janitors. The biggest gain was in personal care, up 6,720 positions in 2015-17. He called for colleges, nonprofits and other organizations to redouble their efforts to train workers for more technical jobs. “We need to reprioritize investments in education, workforce development and job training, because these trends are not going to turn around, they are just going to get stronger,” he said. 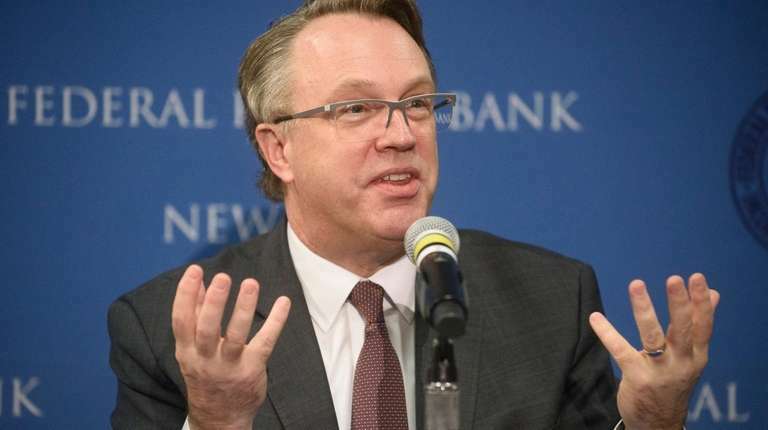 Williams, who became New York Fed chief in April after leading the San Francisco Fed, said New York City saw increases in low- and high-wage jobs, though the latter category grew more rapidly than on Long Island. Of the 175,510 jobs created in the five boroughs between 2015 and 2017, more than 40 percent, or 77,600, paid high wages. More than 61,000 jobs were considered low-wage, and 36,790 were middle-wage. 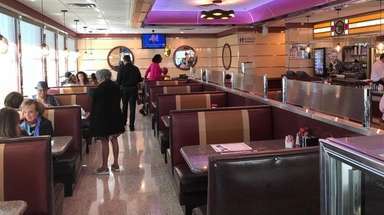 Williams said some of the city's high-wage jobs are held by Long Islanders whose spending close to home boosts the local economy. Among the city's 1.2 million high-wage jobs out of total employment of 5 million, business/finance and management represent 654,460 jobs. New York Fed officials presented the employment research to reporters at the bank’s headquarters in lower Manhattan. The bank analyzed data from the U.S. Bureau of Labor Statistics for Long Island, the metropolitan area and the nation. Separately, Williams predicted the U.S. economy would grow 2.5 percent next year after ending this year with a 3 percent gain. He also said the unemployment rate will fall below 3.5 percent in 2019 while the inflation rate hovers just above 2 percent. "I expect the [U.S.] economy to continue to grow at a strong rate ... [and] I do continue to expect further gradual increases in interest rates," said Williams, who is vice chairman of the Federal Reserve System's rate-setting committee.